A genetic analysis of an indigenous Brazilian tribe called the Botocudos has revealed traces of Polynesian DNA. But while the finding adds some credence to the suggestion that Pacific Islanders may have reached South America hundreds or even thousands of years ago, a simpler explanation is more likely the case. Anthropologists pretty much agree that modern humans colonized North and South America 15,000 to 20,000 years ago during the Late Pleistocene. These settlers most likely arrived from northeast Asia, traveling across the Beringia land bridge. But debate still exists as to the timing and location of subsequent migration waves. Many of these disagreements are driven by variations in genetics and the physical characteristics of Paleoamerican peoples. This new discovery threatens to complicate matters even further. According to Sergio D. J. Pena, a molecular geneticist at the Federal University of Minas Gerais in Brazil, Polynesian mitochondrial DNA sequences have been identified in the remains of Brazilian Botocudo Amerindians. Pena linked these haplogroups to people originating from Polynesia, Easter Island and other Pacific island archipelagos. And to make sure the data was reliable and not contaminated, he had the identification confirmed independently in Brazil and Denmark. The genetic data was extracted from the teeth of 14 Botocudo skulls which were being kept in a museum collection in Rio. The Botocudos were nomadic hunter-gatherers who once roamed inland areas of southeastern Brazil. At the end of the 19th century they numbered between 13,000 and 14,000 individuals. Today there are only about 350 remaining (called the Krenak people). 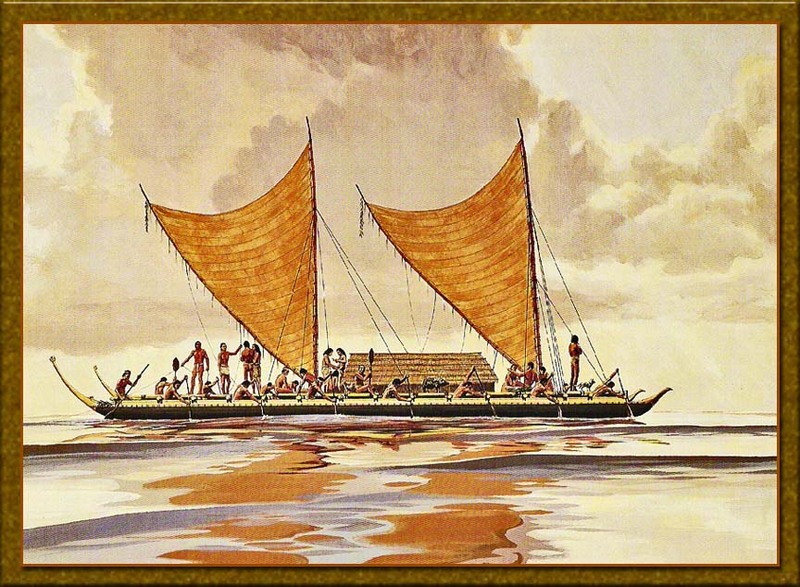 Two theories have emerged to explain the apparent presence of Polynesian mtDNA. 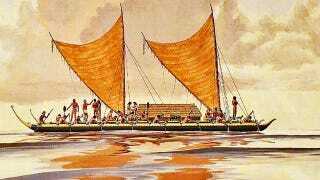 The researchers say that it is possible — but unlikely — that the DNA could have come from Polynesians who voyaged from remote islands to the western coast of South America. Those traders or their progeny would then have made their way to southeastern Brazil and settled or interbred with natives. But that, too, is improbable, says Pena, because the Andes are a formidable barrier that west coast residents typically did not climb or cross. Although researchers have suggested that ancestors of some species of chickens made their way to Chile through trade with pre-Columbian seafarers from Polynesia2, a subsequent study poked holes in that conclusion. It’s an intriguing discovery. The challenge now will be to prove one of the theories correct — and that the haplogroups did in fact originate from Polynesian peoples (which is not a given). Check out the entire study at PNAS. Images: TransPacificProject; NYPL Digital Gallery.